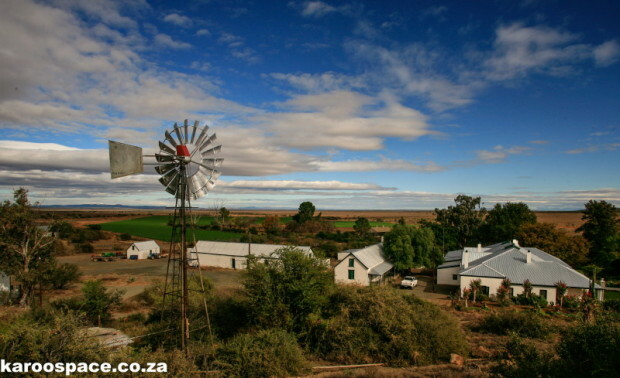 Of all the farms in all the Karoo, Cranemere must be among the best known. 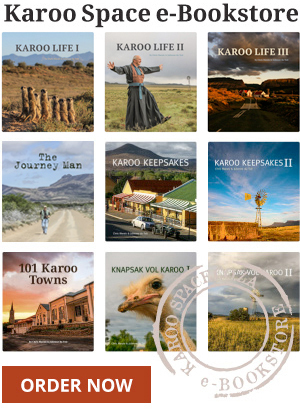 Set between Pearston and Graaff-Reinet, Eve Palmer describes it lovingly in her evocative classic, The Plains of Camdeboo. This was also the first farm in the area to be permanently inhabited, thanks to a fresh and cheerful spring discovered by Gerrit Lodewyk Coetzee. He dammed the spring and created a lake in the desert, precisely the reason George Palmer bought the land from him in 1880. For five generations it has been in the Palmer family, with visitors as diverse as Cecil John Rhodes and that fossil-finding genius, James Kitching. Historic Cranemere farm, synonymous with Eve Palmer’s book, The Plains of Camdeboo. At the heart of it all is the kitchen – not just one, but a series of rooms: the pantry, the companionable preparation area, the kitchen all warm with the glow of an Aga stove, and the scullery. Outside is an old Dutch oven still fired up for special occasions. Here a succession of remarkable women have left their mark, finding innovative and delicious ways of preparing the farm’s produce. 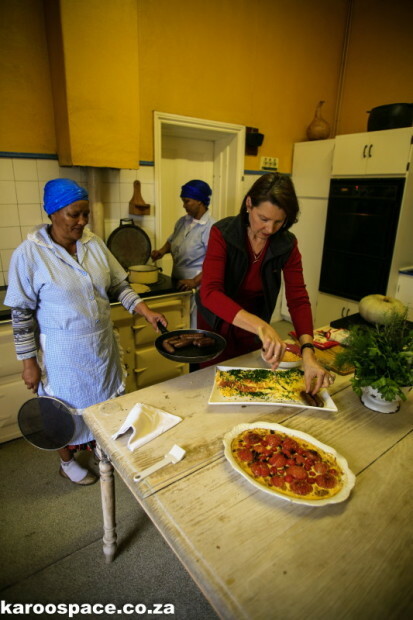 But Marianne Palmer, says her daughter Bernadette “has taken Karoo cuisine to gourmet glamour” in their cookbook Prickly Pears and Pomegranates,. Tomatoes baked in cream and thyme, and sausages on the Aga. Translated into Afrikaans as Marmalade en Moerkoffie, it was declared a local winner in the Gourmand World Cookbook Awards. Their recipes and adaptations of methods used for generations of Palmer women are simple, elegant and quite delicious. Chris and I arrive on a crisp winter morning mercifully in time for breakfast. Marianne has prepared tomatoes baked in cream and thyme, and when we arrive, takes it out of the Aga’s oven where it has been bubbling away. Now comes the famous Cranemere omelette. White sauce is mixed with egg yolks, then combined with the fluffy egg whites, poured onto a greased tray and popped in the oven for fifteen minutes. It emerges puffed, golden and light as a soufflé. 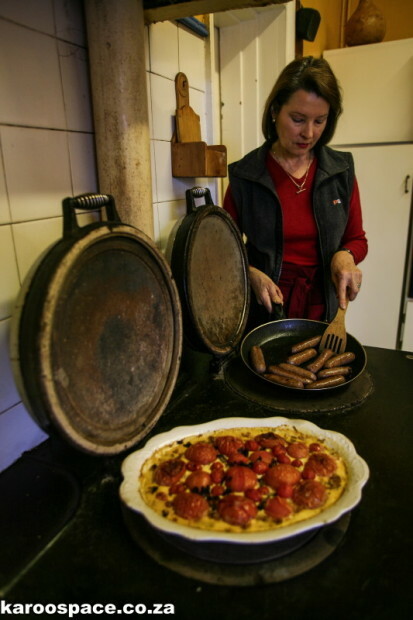 Marianne deftly rolls it, sprinkles it with freshly cut chives and grated cheese, arranges the sausages she makes herself, and breakfast is served. Friends gather round the large table, flapping out serviettes in anticipation before everyone holds hands, closes eyes and Alex says grace. With the first bite, there is that unmistakably reverent silence that arises when good food is tasted. Marianne Palmer with Siena Briekwa and Patricia Vena – a great team. The buzz of conversation only resumes when Marianne rises to cut slices of her homebaked hops-and-potato bread, delicious with farm butter and green figs. 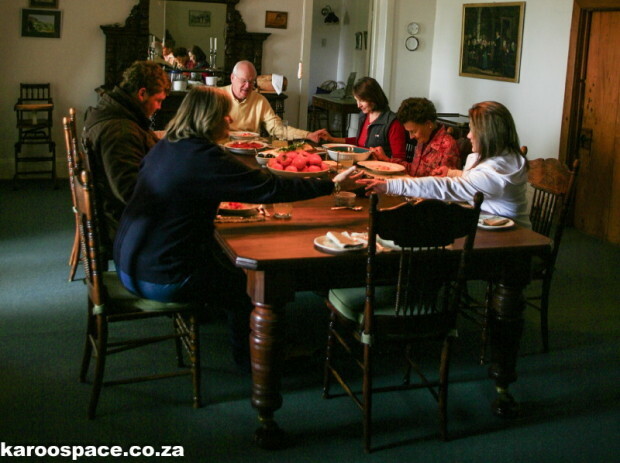 When Marianne first arrived at the farm, Alex’s parents Sita and Maurice moved to their nearby mountain farm. Siena Briekwa and Patricia Vena smile while going about their work. “Nothing can happen here without them,” says Marianne. Being raised on a Free State farm had left her with a profound knowledge of preparing and working with meat. 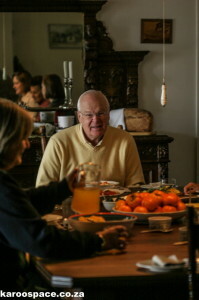 Alex Palmer, fifth generation on Cranemere Farm. Marianne pours a glass of lemon cordial, made from fruit of the farm. “We’re really tasting Cranemere,” someone at the table exclaims. The Palmers occasionally offer bed & breakfast accommodation on Cranemere, when they aren’t travelling. Call 042 246 1492 or email palmer@xsinet.co.za. Admiration for this person. As a lover of history and food, this sounds fantastic. I shall find myself a copy of the book. Will you please e-mail me at the above address. I have a drawing of your grandmother included in a book of drawings I did of the Eastern Cape some years ago, done when I had lunch with your family at Cranemere some years ago. Perhaps you would like to have it.